Please email info@bastionhema before coming down. At Bastion, it is very important to us that you feel satisfied with our standard of service. We take pride in providing the best for our students. 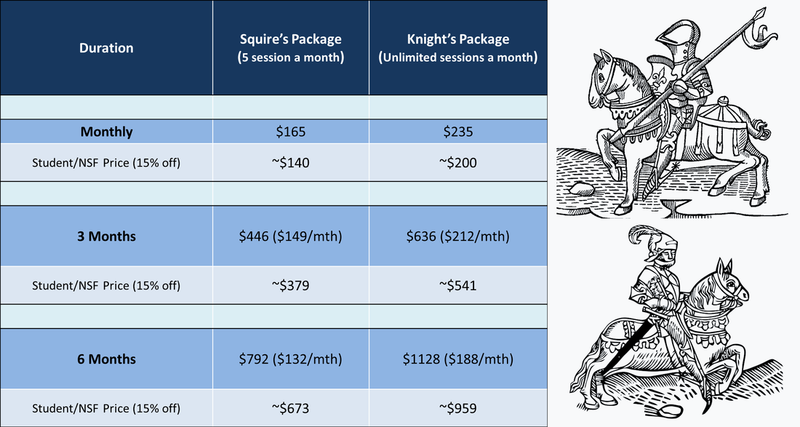 Should you decide to quit within your first year, may it be dissatisfaction with the courses, or perhaps HEMA is not for you, we are more than willing to refund you up to a maximum of six weeks' worth of fees already paid. No questions asked. We want to make sure that the community at Bastion are people who are happy to be there. If for whatever reason you don't find yourself to be satisfied with an aspect of Bastion, do let us know. *Take note that the guarantee is not enforceable if you've stopped paying for more than 4 weeks. You confirm that you are of legal age to access and use Our Website and/or Our Booking Services and of legal capacity to agree to Our Terms. 21 years old and below may participate only when consent has been given by a parent or guardian. By purchasing or participating in our activities, you agree to the Terms and Condition as set forth. In addition to the responsibilities noted above, it is your responsibility to provide complete and accurate information at the time of booking. Failure to provide complete and accurate information may result in a rejection of your booking, cancellation of your booking or membership. Such failure may also result in loss or incorrect delivery of your booking confirmation. Customers are also responsible for ensuring accurate booking and Bastion reserves the right to refuse service to anyone who did not booked accurately. We may from time to time create and offer promotional codes and referral codes (together "Codes") that can be redeemed through the booking system. Codes will only be valid for a period of time stated on or with them. Codes do not have any cash value. (4) may be subject to specific terms which will be made available by us, and must only be used in accordance with those terms.